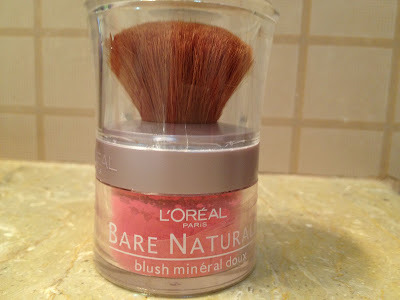 Today’s Post is going to be about a blush which I am currently using, it is non other than L’Oreal Bare Naturals Mineral Blush. I got this one last month and since then I m using no other blush. I like it so much that I went to market again to get one more for my giveaway. The pigmentation of this blush is very good, I have mine in Rose Rapture and the best thing about this blush is that it has got no shimmer in it, it is completely matte at times I don’t want any shimmer in my blush. It is very nice for everyday usage gives a very nice pink color. I did not experience any break outs while using this product which is a hit. 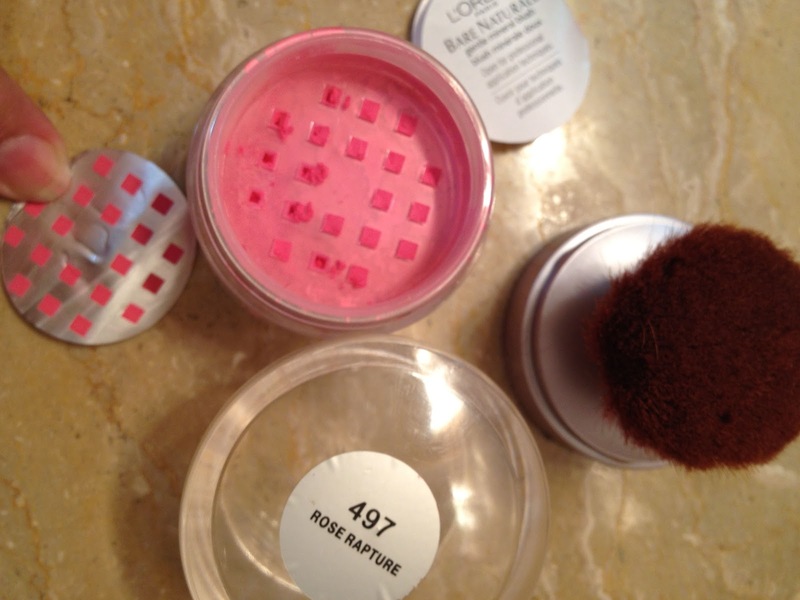 The texture of blush is very light & finish is fine. 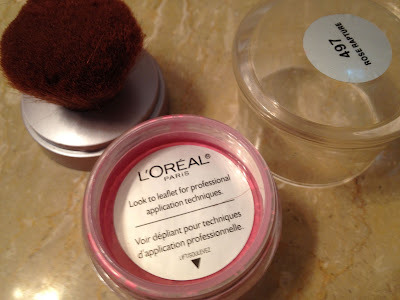 Well as far as the lasting power of the blush is concerned its good, I can see it on my cheeks even after 3 hours. I don’t like the packaging of the blush its very large and weird. I also hate the brush which is attached. The powder does not blend smoothly with the attached blush, so I use my other brush to use this blush. It has got really weird smell but it stays in the jar only I don’t fell it when I apply the blush. Be careful don’t over do it else it will give you chalky look.Oh sorry I forgot to write the price I got this one from Hyperstar which is at dolmen city mall and the price range is around 2000 Pakistani Rupee. Here is what Product Claims! This looks lovely! I love mineral makeup! Isn't the brush all kinds of annoying? This is a lovely color Nida and no glitter too. I Know the brush is so bad! look forward I am going to give this blush away in few days.